Between May and December 2017, Queen Mary 2, Queen Victoria and Queen Elizabeth will travel over 207,000 nautical miles and visit 93 destinations in 32 different countries. The new itineraries include four maiden calls for the current fleet to Souda Bay (Crete), Sibenik (Croatia), Brindisi (Italy) and Praia da Vitoria (Portugal). Cunard will continue to be only company offering a regular Atlantic service – something the company has done for 176 years. In 2017 there will be 22 transatlantic crossings (19 standard seven-night voyages and three eight-night crossings which include a call to either Halifax or Le Havre) on the ocean liner Queen Mary 2. An extensive Mediterranean fly-cruise programme will be available on Queen Victoria between July and November. There will be a choice of four different embarkation ports (Civitavecchia, Venice, Piraeus and Barcelona) and a range of seven- to 21-night holidays. 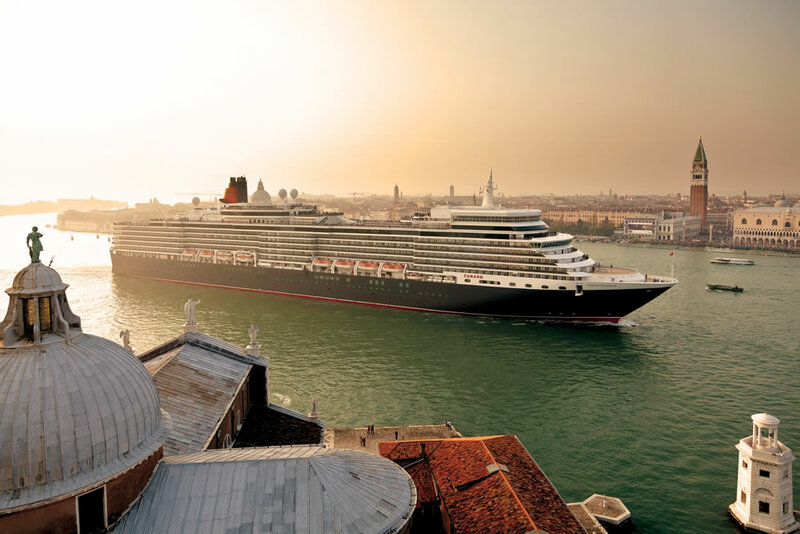 Queen Elizabeth will offer 30 round-trip Southampton cruises visiting the Mediterranean, Atlantic Islands, Western Europe, Northern Europe, the Norwegian Fjords, and the Caribbean. A range of unique event cruises will allow guests to experience special events on-board or in port. Queen Mary 2 will be the special guest at celebrations in Le Havre to mark the city’s 500th anniversary. The flagship will also participate in Kiel Week, the largest annual sailing event in the world featuring tall ships and modern racers. Special themed voyages will include Queen Mary 2‘s Transatlantic Fashion Week (29 August), Queen Mary 2‘s World Space Week (6 October), Queen Elizabeth‘s Arts and Literary Tour of the British Isles (1 July), Queen Victoria‘s Festival of Flowers (8 June) and Big Band Balls for lovers of music and dance on Queen Victoria and Queen Elizabeth. The new 2017 itineraries go on sale from Wednesday 6 April 2016.